Nashville has so much to offer and so many things to do that it's easy for visitors to the area to become overwhelmed. The last thing you want is to end your vacation and realize that you've missed some of the best attractions that the area has to offer. If you want to ensure that you hit all of the area's hottest spots, you're going to want to take advantage of the numerous tours that are available to you. There's no better way to make sure that you aren't missing out on anything that the area has to offer. There are tours that suit every style, taste and budget; it's just a matter of finding the tours that are perfect for you. Experience awesome Nashville sightseeing and enjoy some hilarious comedy too. This two-hour journey allows guests to embark upon a climate-controlled bus tour filled with laughter. Kick back, relax, and sip on your favorite drink (it's BYOB) on this unforgettable Nashville tour. The Grand Legends Tour will provide you with a narrated motor coach tour that outlines some of the area's biggest and best highlights. For the person who wants to see the best that Nashville has to offer, this tour is a must! This three-and-a-half hour expedition will take you to see the sights of Nashville's Opryland Hotel, Country Music Sidewalk of Fame, Opry Mills, the Grand Ole Opry, and The Grand Ole Opry Museum. This tour also gives you the added bonus of seeing the Music Valley Museum of your choice. You'll be able to see either the Toy Museum, the Wax Museum or the Willie Nelson Museum. It's the ultimate Nashville experience. Did you come to Nashville in hopes that you would catch a glimpse of some of the biggest stars? Then you absolutely have to take the Homes of the Stars Tour. The first thing this tour is going to do is get you acquainted with Nashville by showing you the area's most famous landmarks. Then you're off to where the biggest stars make their homes. This tour will take you through the neighborhoods of stars like Dolly Parton, Martina McBride, Amy Grant, and many more of Nashville's celebrity resident neighborhoods. You may even catch a glimpse of the stars themselves! For travelers who love the nightlife, the Nashville Nights Tour is an absolute must-see. You'll be treated to the sights of Nashville's landmarks at night while you're on your way to Legends Corner, where you can enjoy live music and drinks. You can either stay at Legends or head on out to explore the other sights of Honky Tonk Row. You'll be able to experience the Nashville nightlife for yourself and dance your cares away. If you're looking for an insider's view of Nashville, make sure you sign up for the Discover Nashville Inclusive Tour. You'll be able to take a walk through the Ryman Auditorium, visit the Country Music Hall of Fame, and experience the rich history of Downtown Nashville. You'll even visit where Elvis Presley recorded more than 100 of his top ten hits. History buffs don't need to worry, there's a tour that's perfect for them too. The Historic Tennessee Tour will take you to the fabulous Tennessee plantations of the past and will teach you about the rich history of the area. 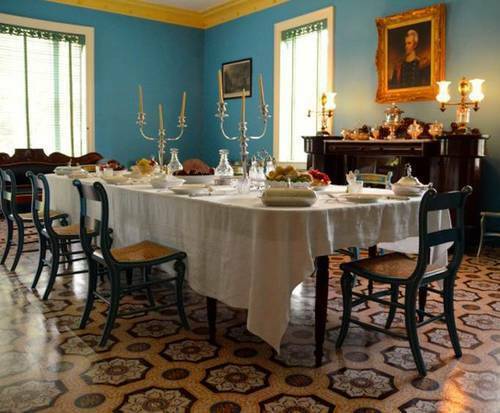 You'll visit Belle Meade Plantation, a 19th century race-horse farm, and you'll visit the home of President Andrew Jackson. This tour doesn't just tell you about the past, it shows it to you. And of course you can't visit Tennessee without taking the Jack Daniels Country Tour. Head out to Lynchburg Tennessee; the town that was made famous by Jack Daniels Whiskey. You'll see exactly how this famous drink is made and hear about the history of Mr. Daniels himself and you'll be able to explore his hometown of Lynchburg. If you're not sure which tour might be ideal for your getaway, consider purchasing a tour combo like the Discover Nashville and Grand Legends Combo Tour or the Discover Nashville and Home of the Stars Combo Tour. By taking advantage of the tours that are available to you, you won't have to worry about missing a thing. Tours are the easiest and most convenient way to see the sights of Nashville. You don't even need to worry about transportation. Shuttle service can be included with your tour or attraction, making sightseeing even more convenient. 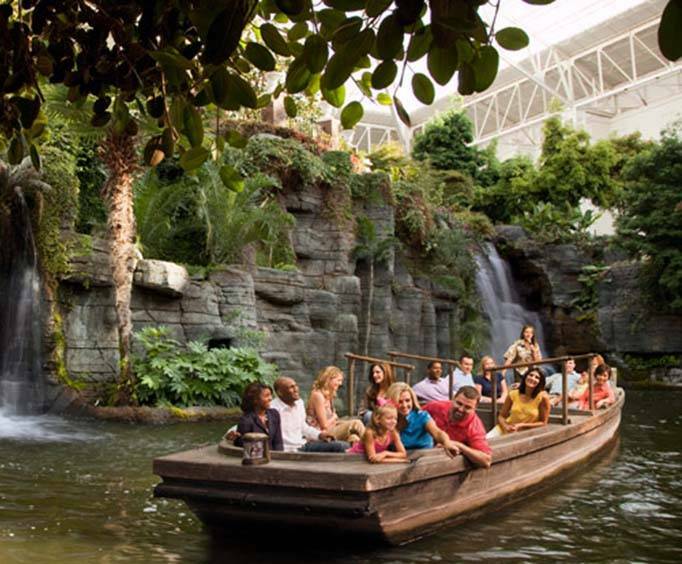 You can go shopping at Opry Mills without worrying about finding it and you can get on board the General Jackson Showboat without having to worry about driving to the dock. It doesn't get much easier than being picked up from your hotel and taken back again. Full of history. The staff was friendly and very knowledgeable.